Alternative business structures: a new beginning? Well, after the long wait, the Solicitors Regulatory Authority has finally given the green light to the first three ABS offering legal services. They are listed at http://www.sra.org.uk/solicitors/freedom-in-practice/alt-bs/licensed-body-register.page which will be updated as new ABS come on-stream. Further details about the best known of the three, Co-op Legal Service, is at http://www.co-operative.coop/legalservices/press-releases/Making-Legal-History/. Co-op Legal Services have made a clear statement of how they want to deliver legal services alongside the other professional services they offer, such as banking, pharmacy, and funeralcare. My hunch is that we will see a lot more from them over the coming months. The other two authorised firms do not yet reveal the extent of their ambitions as ABS. At present they look more like traditional high street practices. LawBridge is a firm based in Sidcup, Kent. Details about them can be found at http://www.lawbridgesolicitors.com/AboutUs.aspx. Their website states that they want to use new technologies to cut down overheads, while continuing to offer a good service to clients. The third company is John Welch and Stammers, a firm of solicitors based in Witney Oxon. They have a website at http://www.johnwelchandstammers.co.uk/default.asp. At present this gives little clue as to how being an ABS will change the way they work. What should replace the Administrative Justice and Tribunals Council? The demise of the Administrative Justice and Tribunals Council (AJTC) has been sought by the Government for some time. It is one of the bodies destined for abolition in the ‘bonfire of the quangos’ – which has been the subject of a number of comments in the blog. But the AJTC has strong supporters, particularly in the House of Lords. And before the final rites are completed – the making of an order under the Public Bodies Act 2011 – the House of Commons Public Administration Select Committee decided to take one final look at the arguments for and against abolition. Their report, published on 8 March 2012, regards the arguments used by Government in favour of abolition as pretty thin. As their press release notes: “The Committee found that the Government’s rationale for winding up the AJTC was questionable, and that the Ministry of Justice may not have either the resources or the expertise to take on its functions.” It also thought the claimed financial savings were unlikely to materialise. The Committee also noted that the Government itself had proposed “to establish a “group of administrative justice experts and key stakeholders—particularly those who represent the views of users” to “provide a valuable forum for sharing information and best practice, and […] to test policy ideas”. We understand that this user group is likely to include some former members of the AJTC.” The Committee recommends that the Government provide further information on its proposals for the membership and operation of this group of experts and key stakeholders. To me this looks to have the potential for the creation of a new body with arguably some of the AJTC functions. Perhaps the main difference will be that members of the new body will not be paid! In my view the extent of the terrain of administrative justice is so great that sensible and coherent policy of benefit to the citizen simply cannot be developed in one Government department without support from across government and input from researchers able to view what is going on in other countries. NB I should declare an interest; I was appointed specialist adviser to the Committee for this report. One of the consequences of the planned cutbacks in legal aid is that the senior judiciary have become increasingly concerned about the ‘problem’ of litigants in person – people who want to take a case to court, but who cannot afford a professionally qualified lawyer to represent them. They fear that more and more people will want to represent themselves in court and that cases will take longer. These fears have been used by both practitioners and the judiciary to argue that cuts to legal aid should not be as great as the government would like. The problem with these arguments is that there seems no realistic prospect that the cuts in legal aid will be reversed. A more sensible approach, therefore, might be to get people in the system to do some serious thinking about how civil justice might be delivered differently. (1) To consider what steps could be taken to improve access to justice for litigants in person. (2) To consider what steps could be taken to prepare for the possibility that the number of litigants in person will increase materially. (3) To focus on steps that would not require material additional financial resources. (4) To consider the possibilities for further development of pro bono advice and assistance for litigants in person. In other words, like it or not, they were told to assume that funding for legal aid would not increase. To achieve this, the Working Group makes a substantial number of recommendations, both short-term and longer-term. 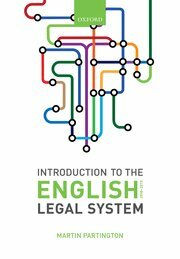 They focus on the importance of making processes simpler; making information easier to understand; giving advice to judges and court staff on how to assist the self-representing litigant; devising a code of practice to prevent professional advocates taking advantage of the self-represented litigant. They also give strong backing to the promotion of public legal education designed to make information about rights and entitlements, and also about court procedures more readily available. The tone of the the Working Group is not, in fact, a revolutionary one; many of the proposals are sensible and with the appropriate leadership and championning might offer some assistance to those with legal rights to assert but who cannot afford lawyers to assert those rights. But underlying the report, unacknowledged, is a pretty big question: is the current model of adversarial justice ever going to be able to deliver proportionate justice to the ordinary person who wants to use the law to assert his or her legal rights? It is not clear how the Government is going to respond to the report; but it merits much more public attention than has so far been paid to it. The Judicial College was created by bringing together separate arrangements that had previously existed for training judicial office-holders in the courts (the Judicial Studies Board) and Tribunals Service (through the Tribunals Judicial Training Group). In this podcast I talk to its Chairman Lady Justice Hallett about the reasons for the change and ways in which the College is developing new ideas about judicial education. She particularly mentions the international links it has been establishing. More information about the College can be found at http://www.judiciary.gov.uk/training-support/judicial-college.